If this is your first time facing a DWI charge, you may not realize quite how serious the charges against you are. The first thing you need to know is this: you need to act quickly to get the best results on your case. Clients who don’t make a decision about their representation within 15 days of their arrest will forever lose the ability to keep their driver’s license from being suspended by the State and lose the ability to cross examine an unprepared police officer at the driver’s license hearing! Next, of course, you have to deal with the actual criminal case of driving while intoxicated. A conviction for DWI could result in criminal penalties such as fines, jail time, and numerous courses that you might have to take as part of any probation. The second part of the charge is civil and relates to your ability to drive a vehicle! The arresting officer will immediately take away your copy of your driver’s license if you fail the roadside gymnastics tests known as the field sobriety tests. Even if you’re later found NOT GUILTY of your DWI case, your driver’s license can be suspended for at least 90 days if you don’t within 15 days! Just because the officer takes away your license, doesn’t mean you can’t fight to keep it. However, it is critical that you act quickly, as you have a very limited time—15 days—to request an Administrative License Revocation (ALR) hearing from the Department of Public Safety (DPS). It is important to hire a DWI attorney that has the administrative and trial experience to obtain the best results. The defense lawyers at Gireud | Hobbs, PLLC can do that for you. If you were charged with DWI in the San Antonio area, call the DWI attorneys at Gireud | Hobbs, PLLC at (210) 787-3916 or contact us online for a free consultation. Drinking too much beer at a college party or having too many martinis at lunch are the stereotypes associated with getting pulled over for a DWI, but there are other reasons people could get stopped and subjected to a field sobriety test. Diabetes? Every person who suffers from diabetes can tell you that the symptoms of diabetes can very much resemble the effects of drugs or alcohol on the body. Just because an officer thought your illness was intoxication, doesn’t mean we can’t convince a jury that you were NOT intoxicated. You could appear drunk if you got sick while driving. Some illnesses, like multiple sclerosis, could make it impossible to pass a field sobriety test even if you weren’t impaired. You could be “under the influence” of other drugs – legal or illegal. We live in a highly medicated society. As this trend continues, don’t be surprised to find out that you or a loved one will get pulled over and put through the “field sobriety tests” when you haven’t even had a drop of alcohol. Our DWI defense attorneys will investigate your medical situation thoroughly so a jury can see that you weren’t intoxicated. If you found this page after having participated in the tests, however, our attorneys are well trained to evaluate the results of these tests and our attorney Colin Hobbs is actually certified to administer the tests just like the police officers you’ll encounter on the streets. Who better to know when an officer has made a mistake on the tests? Request and attend your ALR hearing. This gives us a chance to preview the criminal DWI case against you potentially keep your driver’s license from being suspended. Investigate the traffic stop. Was it conducted correctly? 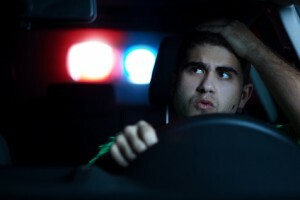 Did the officer have reasonable suspicion to stop you? Did he have probable cause to arrest or search you? Determine whether the breathalyzer was correctly calibrated. Determine whether the arresting officers administered the field sobriety tests properly. Investigate the medications you are taking. If you were arrested because you were involved in an accident, we will investigate the actual cause of the accident (it may not have been your fault) – we stand ready to fight for your rights in both your criminal case as well as in any personal injury cases if you were injured during the accident! Don’t wait to get help. You will almost certainly lose your driver’s license for a significant period of time and your car or truck insurance rates will go up if you don’t act quickly. Get experienced legal help from Gireud | Hobbs, PLLC. Call (210) 787-3916 or contact us online to schedule a free consultation with a DWI attorney.